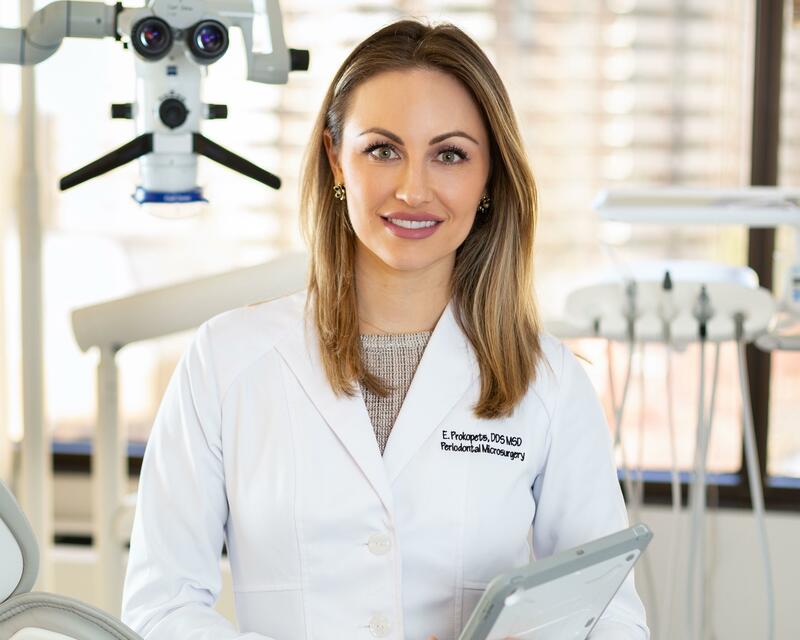 Eugenia Prokopets, DDS, MSD, is a board certified Periodontist and Dental Implant Specialist who uses minimally invasive periodontal and implant microsurgery techniques to improve patients' oral health at her practice in Chevy Chase, Maryland. Originally from Poltava, Ukraine, Dr. Prokopets is a 4th generation female dentist in her family. Growing up in Scottsdale, Arizona, she received her Bachelor of Science in Microbiology from Arizona State University. 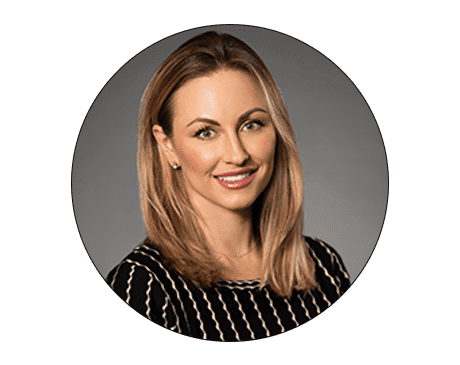 Dr. Prokopets earned her DDS at Marquette University, in Milwaukee, before obtaining advanced training in General Anesthesia, Emergency Medicine, and Oral Surgery at NewYork-Presbyterian/Columbia University Medical Center. With a focus on dental implants, Dr. Prokopets completed a three-year residency and a Master’s degree in Periodontics and Implant Dentistry at Louisiana State University. Dr. Prokopets received training in all aspects of implants, including esthetic implant surgery, bone grafting, sinus elevation, microsurgery, esthetic gum grafting, and full mouth implant rehabilitation. In addition, Dr. Prokopets’ training allows her to provide IV sedation for dental anxiety and is one of the only Periodontists in the Washington DC area providing this service. She is also the only periodontist performing microsurgery using a highly specialized microscope in the states of Maryland, Virginia and Washington DC. Dr. Prokopets is extremely passionate about improving the overall health and esthetics of your smile. Using Botox and Fillers, she is able to correct and enhance your smile and facial features. Call or make an appointment online today with Dr. Eugenia Prokopets at her office in Chevy Chase, Maryland. "Dr. Prokopets is a consummate professional, highly skilled and exceptionally trained in her field. Have I mentioned that Dr. Prokopets is also a genuinely kind person?" "Dr. Prokopets performed my gum grafting, and I couldn't be happier with her bedside manner, her kindness and her results. If I could give her ten stars, I would!" "Dr. Prokopets does a great job on my Botox and fillers. She really understands the facial anatomy and knows how to accomplish the look I want." "She is a jewel of a person and it shows on how she treated me. I highly recommend Dr. P to all looking for a Periodontist." "Dr. Prokopets has a wonderful bedside manner and her work is flawless. She is a perfectionist at what she does and has a very kind heart! "